Hawkeye Identifies HUGE Market Move! 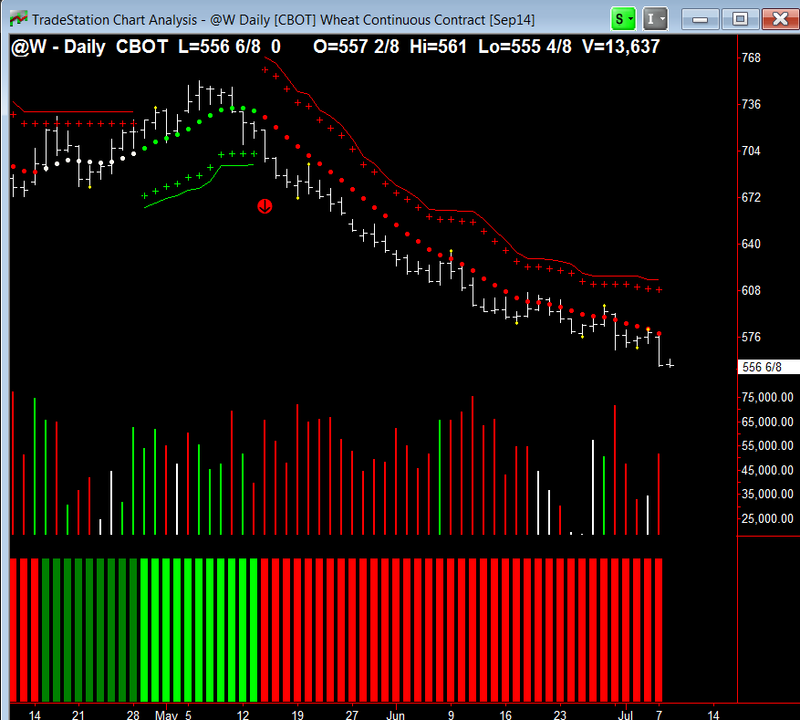 Take a look at the Wheat Daily Chart above. 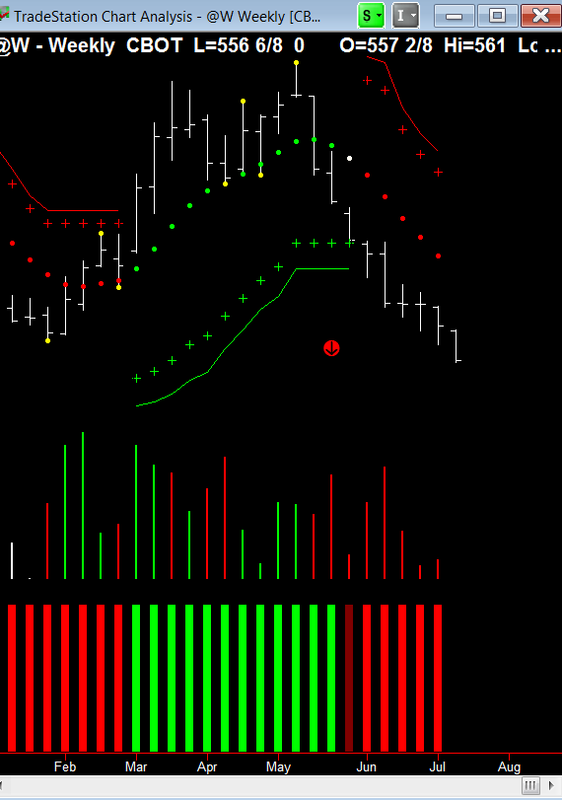 Of course Hawkeye volume picked up the professional selling (indicated by the red arrow). 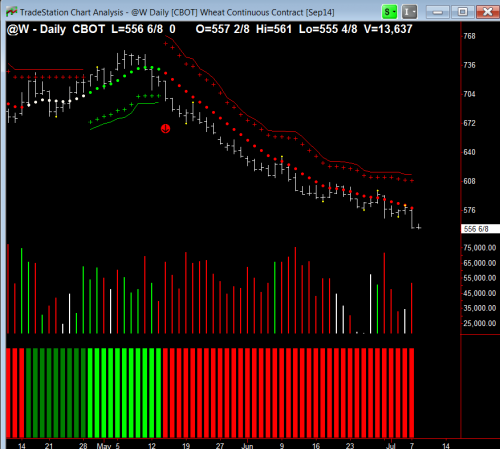 This selling is confirmed by the volume chart on the Weekly Wheat Chart (indicated by the red arrow). What trends! Have a look as well at Hawkeye on the Soy complex. This year has been a near perfect growing season – ample rains and sun. 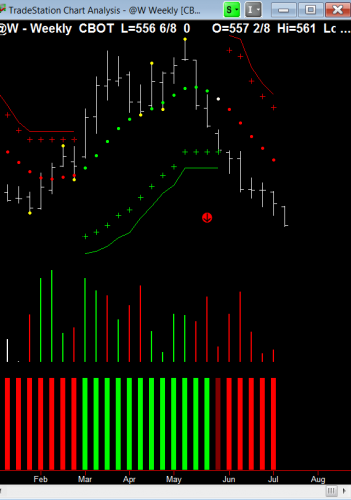 You will see that Hawkeye Volume is very bearish – as it is of all the grain complex. As a note: feeder cattle and live cattle have been a belter of a trend. Be careful, it looks like tops are being put in. Previous PostPrevious Emini traders get a Kiss! Next PostNext Want to profit from Volume? Here’s how.